It’s 2014 and denim jackets are still considered one of the few essentials for the fall in menswear. Brands like DSquared2, H&M, Levi’s, and Denim & Supply Ralph Lauren are only a few of many outlets that carry the style staple which has become a necessity in men’s fashion today. Denim jackets are very versatile. Not only can it be worn during the fall months, but in the spring as well. Very much like a blazer, denim jackets can be styled in different ways as it gives you a chance to dress up a look or dress it down. It can be used for layering when featuring sweaters, varsity jackets, and coats. From chinos, to matching jeans, to leather pants and rolling up your sleeves, the variety of ways a denim jacket can be worn makes it accessible to any age or social group. When it comes to buying a denim jacket, fitting is very important. The jacket should never be oversized. It should compliment your type, but at the same time it should be able to accommodate inner wear such as thick sweaters and turtlenecks. I recommend going one size up your usual size. 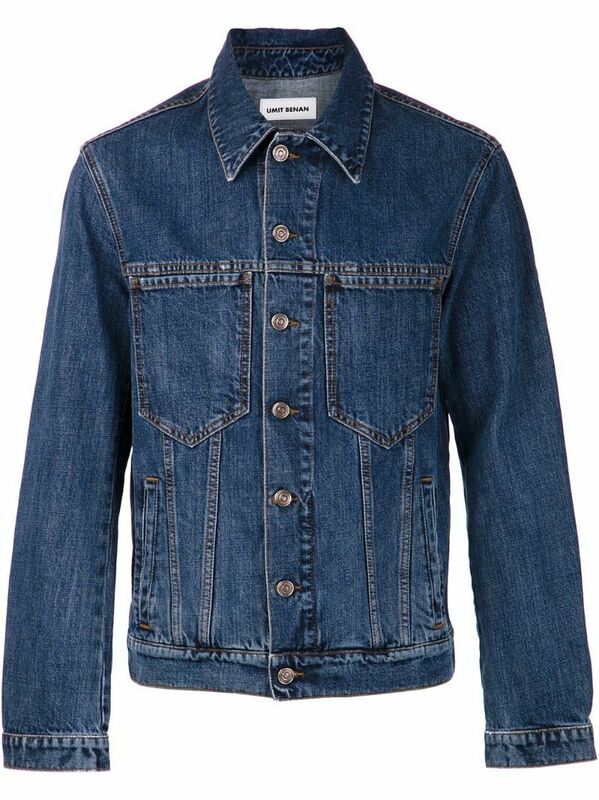 Another thing to look out for when buying a denim jacket is material and color. In magazines, we mostly see denim jackets in a more faded and washed out light. There have been cases where people bleach their jackets for individuality purposes but that has been shifting as denim jackets with darker washes and first-rate cotton weaves have been in circulation recently. See some great styles here by Nudie Jeans denim Jackets & Denim & Supply Ralph Lauren Denim Jacket. 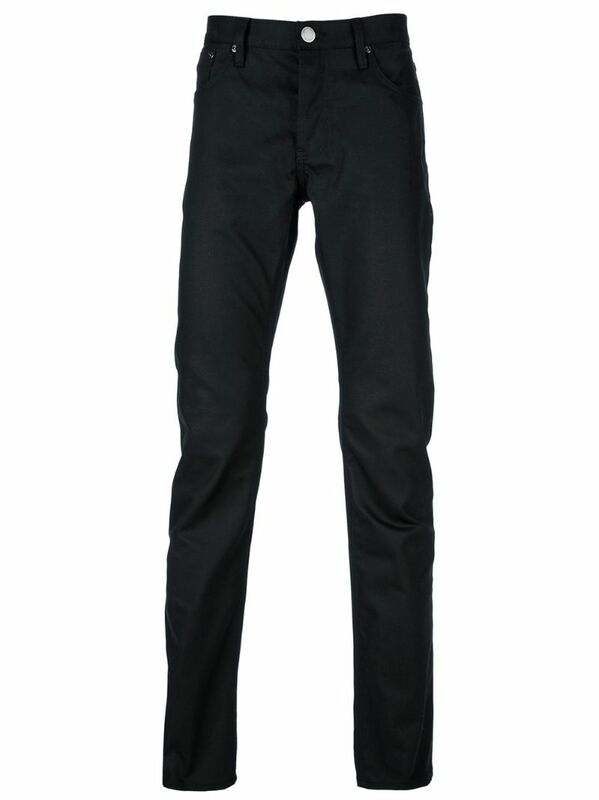 Also see more black jean styles by Levi’s Men’s 511 Slim Fit Jean & BURBERRY LONDON ‘Steadman’ slim fit jean. 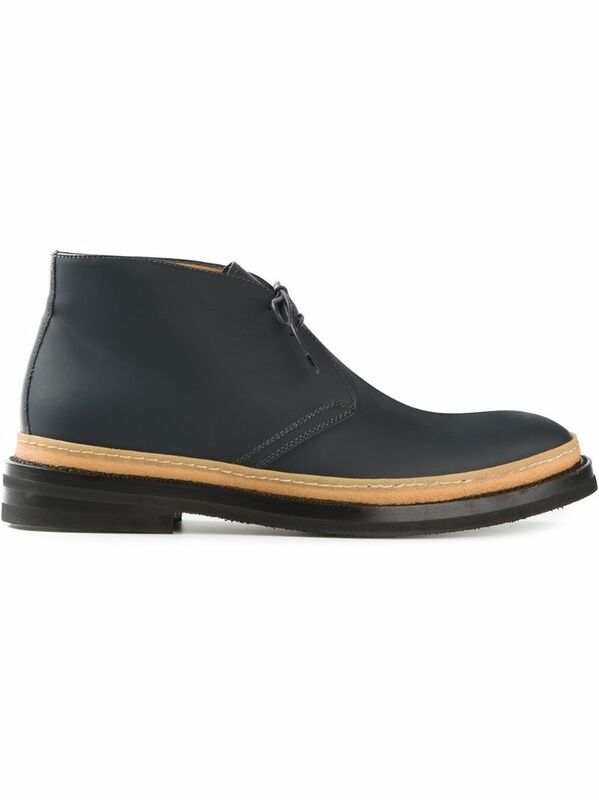 Here are some more styles by Johnston & Murphy Conard Cap Toe & WEBER HODEL FEDER ‘Aspen’ lace-up boots.